I deceided to use a pretty box I already had to create a romantic surprise photo box for my Hubby. I chose photos from our honeymoon earlier this year. 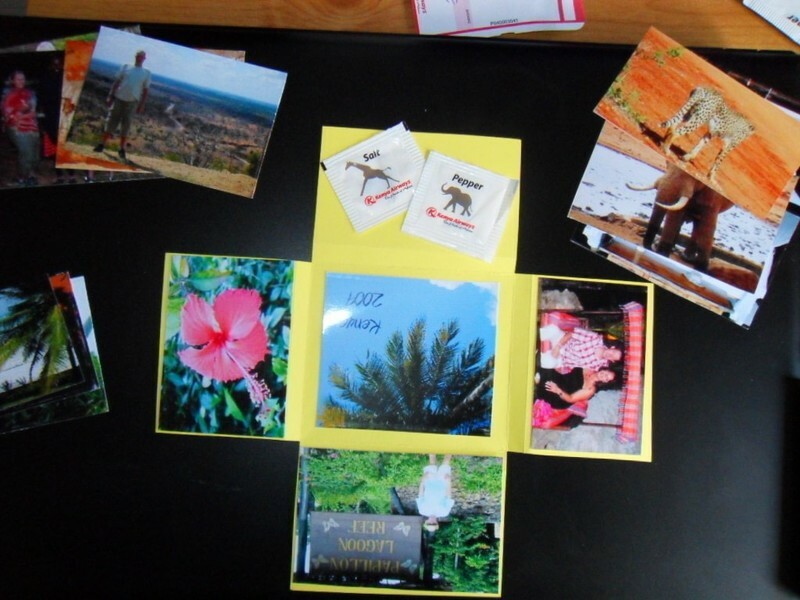 The only real cost was that of printing my photos onto photo-paper as I had the box, ribbon and card in stash already, so it is quite an inexpensive make! 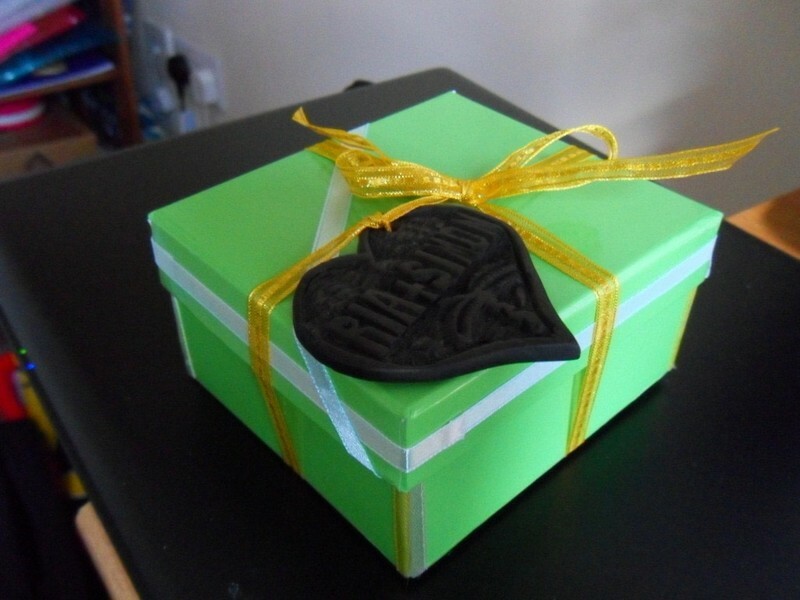 I used a pretty sturdy gift box I had in stash for the basis of my surprise photo box. Use the flattened box to creae a template and draw around your chosen colour lightweight card. I used 3 layers and chose yellow and blue as they had a tropical feel, just like my photos!. 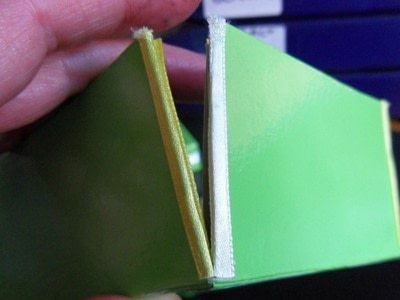 Make sure each layer is about 0.5cm smaller than the one before so that they fit snugly inside one another. 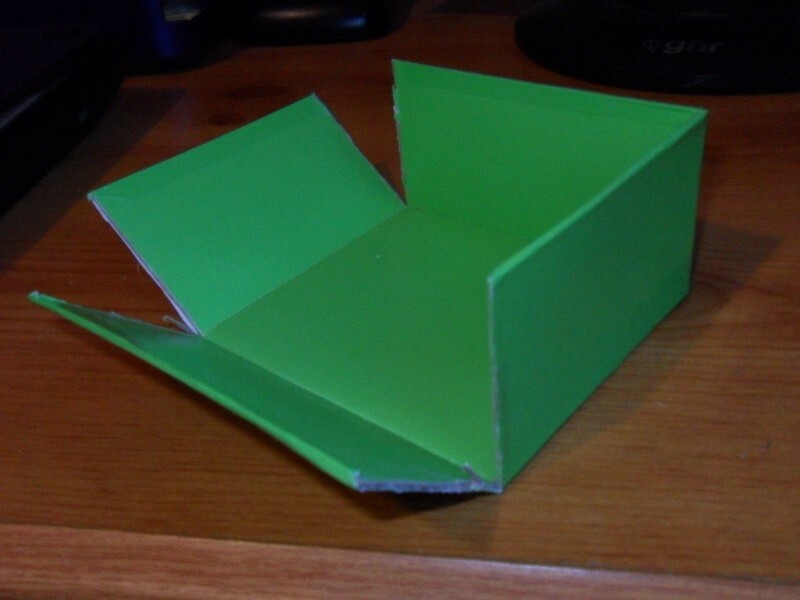 Then score and fold the outer cross shape so they resemble your cut open box. 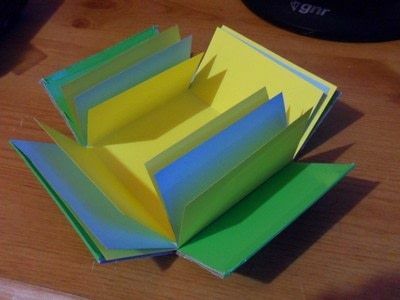 Check they fit into each other at this stage and the lid goes on without crushing or creasing the paper. Before adding the photo layers, I stuck some ribbon along the raw edged of the cut open box to neaten it up. 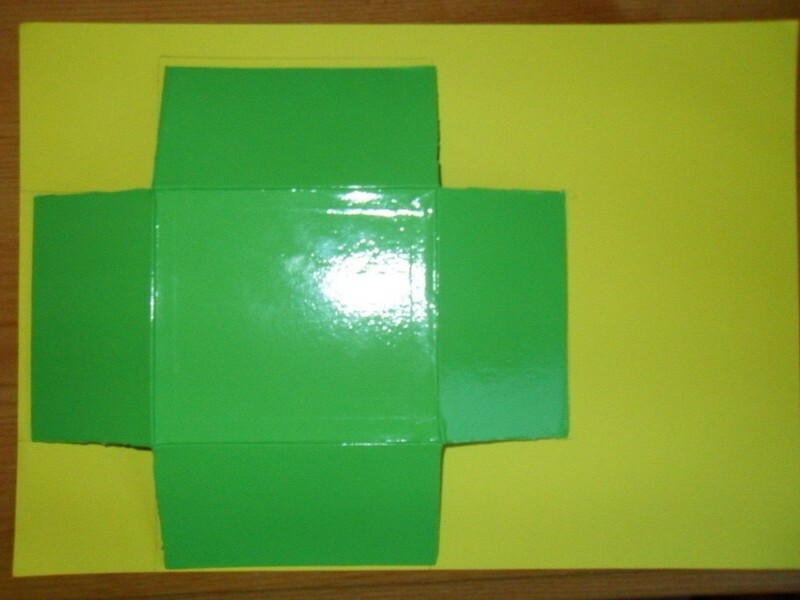 Choose your photos and print off to the correct size for fitting your box. Using a paper trimmer gives a more precise cut, but you can use scissors to good effect. 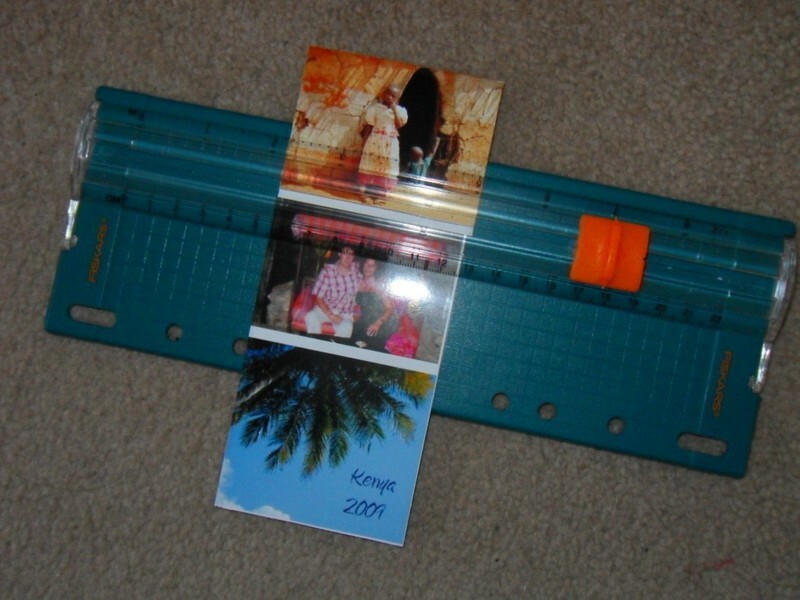 I cut my photos in rectangles, but you could cut them to whatever shape you wanted or even cut out the people and images from your photo. 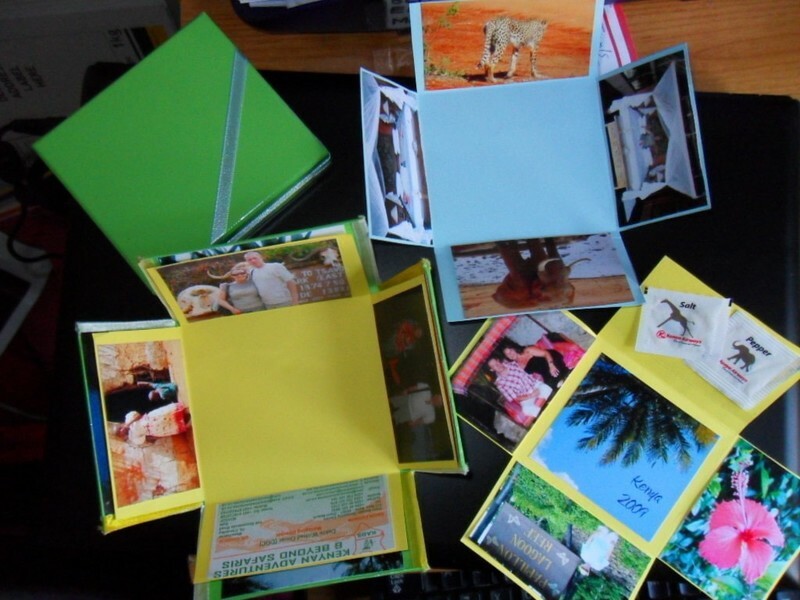 Starting with your outer layer (or the inside of the box as I decided to also put photos on this - too many photos to choose from!) stick the photos on the inside flaps. On my last layer (The one you see first inside the box when it is open) I also stuck a photo on the flat part which will be the bottom of the box. Once all your layers have the photos stuck securely, fit each piece into the box using a dab of glue underneath the bottom of each layer to secure. Again, check the layers fit correctly and put on the lid to check the layers are not too tall as you can trim any excess before sticking together easier. I finished my box off with a yellow ribbon and a wooden heart with our names on that we bought on honeymoon, but you could use wool, tags, stickers or anything that fits in with your theme! awesome project - recycling old boxes...wowww! love it! this is GENIUS!! thank u for sharing this!!! 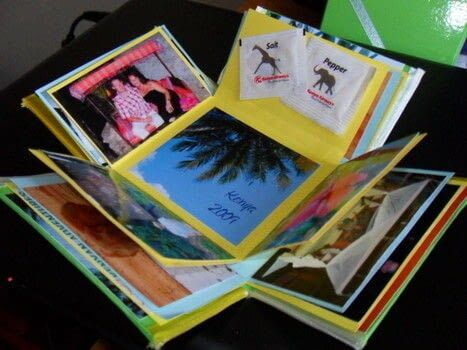 this is really cool... im going to make this for my mum and dads anniversary.! but im not sure how it works. so when you stuck all your pictures and everything. do you tape all the edges together and then when you tie it with a ribbion. 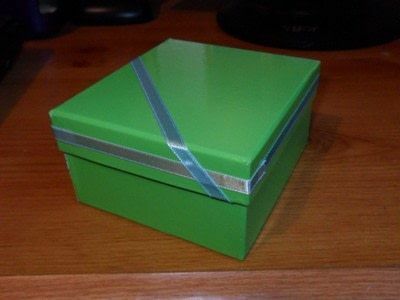 Then when they pull the ribbon open... everything will fan out and do the suprise esplosion thing.? Kathleen - just on the one side of the flaps that faces inwards - it makes it too thick and difficult to fold up to close otherwise - but I guess you could print on thinner paper if you wanted to do it that way! Neat idea! 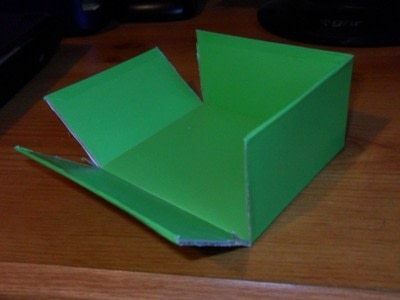 Did you put pictures on both sides of all the flaps, or just the sides that face up? Tula - Why don't you use some great pictures from magazines instead of photos - you could do one for your favourite band or actor maybe? badass; having extremely favorable qualities, and yes your awesome photo explosion box most definately does!! !